Buzz Blog: Is Bringing a Spacecraft Back from the Dead Worth the Cost? Is Bringing a Spacecraft Back from the Dead Worth the Cost? Right now, the International Sun-Earth Explorer (ISEE-3) spacecraft, which was launched in 1978, is floating in deep space. Its fate will depend on the success of a recent crowdfunding project called “ISEE-3 Reboot Project”. If the project can raise $125,000 by the end of March, then there’s a chance that scientists will be able to revive the spacecraft and send it on a trajectory that will bring it into orbit around Earth where it can begin collecting data, again. So far, the project has collected about $36,000. The big question is whether the project is worth the price, or not. The cost of $125,000 is certainly cheaper than starting from scratch on Earth and then launching it into space. On average, to launch a satellite costs $27,000 per kilogram. ISEE-3 weighs 390 kilograms. In order to revive the spacecraft, scientists say they need to develop software that can communicate with the satellite. This is because NASA decommissioned the satellite’s communications equipment in 1999, so right now there’s no way for scientists to speak to the satellite in order to direct it on the proper trajectory that will bring it into orbit around Earth. One of the main concerns in doing this is that even after pouring over $100,000 into the project, the software will not work. There’s a chance that the satellite’s instruments are no longer working and unable to receive signals from Earth. However, the chances look good for the satellite to once again offer new data to the scientific community. In 2008, NASA realized that the satellite’s transmitters were still functioning and that 12 of its 13 scientific instruments were operational. Whether those instruments are still operational today is less clear, but what is a few more years in space compared to three decades? There’s also the concern that the satellite, if brought back to life, could tell us anything new. The satellite’s instruments were designed in the 70s. Their technology is likely outdated and therefore might not have the capability to collect the level of precision that other, younger instruments are currently collecting. ISEE-3 was the third satellite in a project that aimed to study how the solar wind and Earth’s magnetic field interact with one another. But in 1982, the satellite was slated for a different mission – to become the first spacecraft to fly through a comet’s plasma tail. If it were revived, scientists would likely use the instruments on board to, again, conduct measurements on the solar wind and Earth’s magnetic field. Dennis Wingo and Keith Cowing are leading the project. As heads of the Lunar Orbiter Image Recovery Project, they are no strangers to recycling old technology. 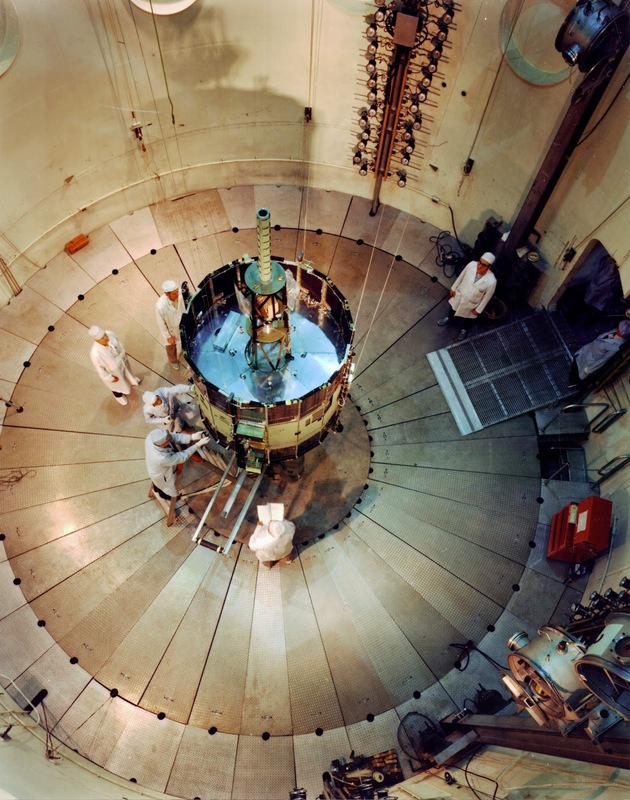 The LOIRP applies current technology to analog data tapes that the Lunar Orbiter spacecraft took in 1966 and 1967 in order to achieve higher resolution results. The data includes images of Earth taken by astronauts when they were on the Moon. Some of these sharper images have even furthered scientific studies such as correcting figures on Earth’s arctic ice levels during the late 60's. Wingo and Cowing began this crowdfunding project because NASA could not offer any money toward the project. So, is it worth $125,000 to bring a zombie spacecraft back to life? Time will tell.